You have seen it splashed across the front page of our web site: We believe affordable, accessible, transportation is a critical component of social and economic mobility. Our belief in the power of active, inexpensive, and accessible transportation drove our efforts to make sure Athens in Motion (now officially accepted) included equity throughout the document, including the prioritization and implementation. As an organization that works “to build equity in transportation” it is important to explain how we define transportation equity. Equity has long stood as a unique way to deliver fairness and justice. Equity looks to make people whole. In the SPLOST 2020 Project Goals District 2 Commissioner, Mariah Parker defined community equity as “redress for historical and current socioeconomic, racial, age- and/or ability-related inequality.” Equity is an attempt to remedy past and current harm. It is important to note, transportation equity is not “everyone gets the same.” We are not looking for geographic equality where every commission district gets one or two projects. As transportation advocate Oboi Reed puts it, transportation equity is “The fair, just distribution of transportation resources prioritizing communities that need the most. Communities that need the most, receive the most” (50:00 of webinar). In the same conversation, Charles Brown (scheduled to speak in Athens at the 2018 Georgia Bike Summit) echoes Commissioner Parker. He notes that equity discussions take place against the backdrop of historical neglect and the “intentionality of federal, state, and local governments to use highway projects to displace and destroy communities of color.” Athens has witnessed historical inequality and intentional destruction. Athens has witnessed urban renewal and urban redevelopment reshape East Athens: according to Matthew Pulver, “[t]he primary black neighborhood in East Athens, called “The Waterfront,” committed the sin of being anchored on a state highway and was punished with total demolition in the mid-century.” Transportation equity is an effort to deliver fairness and justice in transportation planning, funding, and implementation. Transportation equity means communities that need the most (because we have ignored or deprived them), get the most. 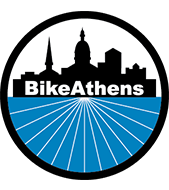 At BikeAthens, we have been donating bikes, locks, lights, and helmets to low-income individuals for over 10 years. We have given away over a thousand bikes. We provide free maintenance for the life of the bike. We see people in desperate need who rely on bikes for transportation. They are working in the service industries and at the plants, and may be homeless. Our bus system does not meet their needs because it is not a 24-hour system. They may not be able to afford a car or be able to rely on friends or family for rides. Riding a bike is faster than walking. If you have to work a shift on Atlanta Highway that ends after 9:00pm, how do you get home if you don’t have a car? We met one young man who walked or rode his bike from Lexington Road to Atlanta Highway every day. We have clients who ride their bike to visit family outside the county because they don’t have cars. The communities that need the most, get the most. We serve a community that needs safer places to walk and ride their bikes. “I am the Program Director at BikeAthens. Since I am afforded a couple of minutes to talk to you all I’d like to tell you a couple of things. Since we moved our shop to 1075 West Broad Street in the summer of 2016, we have seen a huge increase in the number of bikes we donate to people that need affordable transportation. We also see people stop in our shop because their bikes are in desperate need of repair. Often they can’t afford to pay us anything. We fix their flats. We replace their tires. We replace their worn out chains. When they have destroyed their wheels, we replace them. When their brakes don’t work, we don’t stop working until they can leave our shop with a bike that can stop in an emergency. We do our best to make their bikes safe to ride again so they can get out on the streets to try and make ends meet. Last month I donated a bike to a man that was in tears as he shook my hand at the thought that his new bike would enable him to keep his job at the chicken plant, keep the apartment that he and his wife were barely hanging on to because in addition to that they just had twins. I cannot imagine what his daily struggle is like, but it is not something unique in this town. We hope you’ll join us to help build equity in transportation.